Plywood’s main advantage over solid stock is its high strength and stability. Its availability in a variety of thicknesses and sizes often makes plywood a more convenient choice as well. Plywood comes in a variety of thicknesses (typically 1/8″, 1/4″, 3/8″, 1/2″, and 3/4″), which can eliminate the need to plane your own boards. It also comes in large sheets (typically 4’x8’), which can eliminate the need for edge-joining. 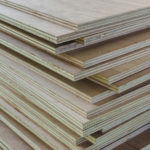 ​​What do the Different Plywood Grades Mean? Only 20 years ago, no one had heard of this hardwood lumber from the Pacific Northwest called alder. These days, alder is a popular choice for many hardwood applications, with demand for alder lumber reflecting this new popularity. Red alder is the most common hardwood tree growing in the Pacific Northwest. Through a proactive campaign of education, marketing, and creative use, alder is now a highly sought after hardwood throughout both the Pacific Northwest and around the world. What is Alder Wood Used For? Most of the higher grade lumber is used for furniture, cabinetry, and turned products. Alder is also used in doors, millwork, decorative woodwork, carvings, and edge-glued panels. Alder dries to an even honey tone and can be finished to resemble more expensive fine-grained species. There is little color variation between the heartwood and sapwood, making alder also ideal for light or natural finishes. Alder’s popularity continues to grow among fine furniture and cabinetry makers worldwide. Why Are Alder Grades Different? Most companies that produce or sell large quantities of alder use a proprietary grading system to address some of the unique qualities of alder lumber. Alder lumber is marketed in over 20 distinct grades. It is often marketed for the furniture and cabinet industry and successfully competes in paneling and pallet stock markets. Similar to typical NHLA grades, yield and clear cuttings are part of most alder grade determinations. In addition, alder grades take into account the character marks allowed in the wood. Pin knots are common and not considered a defect. What Are the Typical Sizes of Alder Lumber? Alder trees are naturally smaller than many other commercially desirable hardwood trees. This is reflected in the more limited widths and lengths of alder lumber. Most alder lumber ranges in length between 6 feet and 12 feet, with the majority either 8 or 10 feet long. Most available lumber is 4/4 and 5/4, with some 6/4 and 8/4 stock available in more limited quantities. Proprietary grading addresses the more limited sizes of alder lumber whichtill allows users to utilize alder in the best manner possible. What Are the Characteristics of Alder Wood? Alder has an excellent reputation for machining and is also a desirable wood for turning. Alder can be nailed without splitting or screwed without pre-drilling. It glues well and can be sanded to a smooth finish. Alder is evenly textured, with a subdued grain pattern, and has a moderate weight and hardness. Because of its uniform, small pore structure and consistency of color, alder is a preferred wood for finishing. It accepts a variety of stain types and can be successfully substituted for other woods when properly colored stains are applied. When finished natural, it has a warm honey color. Learn more about alder lumber. Learn more about alder, the tree. What is the Difference Between Gross Tally and Net Tally? One of the most confounding measurements to understand if you haven’t been around the sawmill and lumber business for a long time is gross tally and net tally. What exactly is the difference between gross tally and net tally? And why is lumber sold both net tally and gross tally? How do you convert from gross tally to net tally? We’ll take you through the basics. Gross tally, also sometimes called green tally, is the volume of wood in board feet delivered to the mill after it is cut. This lumber hasn’t been dried yet and has a high amount of moisture in it. When lumber dries, water is removed from the wood resulting in a smaller overall volume of wood. That smaller volume of wood is known as net tally. Gross Tally >> the lumber volume measured before kiln drying. Net Tally >> the lumber volume measured after kiln drying. Why is Net Tally versus Gross Tally a Big Deal? It is necessary to understand whether a lumber quote or price is based on gross tally or net tally. The issue isn’t always whether the tally is net or gross, but how that number was determined. Find out whether the tally was measured after coming out of the kiln or whether the gross tally was used to calculate net. This will make a difference in the actual volume of lumber. Also ask what shrinkage rate was used for your lumber. Each sawmill may use a different shrinkage rate to determine net tally – usually between 7% and 9%. In addition, how a company calculates it also slightly changes the resulting volume numbers. If a company uses 8% but multiplies by 1.08 that will return a different volume number than if they divide by 0.92. How Should I Buy Lumber – Gross Tally or Net Tally? Since hardwood lumber invoices are based on measured board footage, it is important to know if the price you are being quoted and paying is based on a gross tally or net tally. Sometimes it may seem a deal is too good to be true and it may be. Sometimes the reason for that unbelievable price is hiding in the tally. Be sure you clarify if the transaction you are conducting is measured on gross measure or net measure. Know what your price is per the type of tally. If you are ordering lumber with additional remanufacturing, be sure to find out how that is accounted for in the overall volume you will receive. A straight line rip will cause the volume of lumber to shrink again. Buying net tally can reduce confusion and will give you the tools to accurately determine the volume of lumber you are receiving. However, either tally method can be used IF you have answers to all of the variables that affect the overall volume. Sanding woodwork by hand may seem like a chore, but with special tools and high-quality sandpaper, you’ll get excellent results that often outshine a power sander. Besides, it’s quieter, doesn’t produce clouds of dust, and may get into places power sanders can’t. Use a sanding block for faster, more efficient results. It distributes sanding pressure more evenly and maintains a flatter surface than merely folding a piece of sandpaper. Also, change sandpaper often. Sand with the grain of the wood, especially for the final grits. To remove deep scratches and stains, angle across the grain up to about 45º for the first sanding. Before moving to the next finer grit, sand with the grain to remove all cross-grain scratches. For sanding painted surfaces, buy clog-resistant sandpaper. The paint will build up slower than on standard sandpaper. When screwing two pieces of wood together, use the traditional wood screw over the drywall screw for better results. A drywall screw is threaded the full length. Since the top threads tend to grip the first board it enters, this can force two pieces of wood apart slightly because you have threads in both boards. The top part of a wood screw, on the other hand, has a smooth shank that won’t grip the first board. This makes it easier to clamp two pieces of wood together. There’s another reason to avoid drywall screws: The hardened, brittle steel shafts of drywall screws will often break during installation, especially when screwed into hardwoods. Removing them from a finished material is nearly impossible and getting them out damages the surface. Wood screws are made of thicker, softer metal, so they’re break-resistant. However, you can easily handle all three drilling chores by buying a set of three countersinking bits. They handle most common screw sizes. When building with wood, you must know the correct moisture content of each piece of wood. Too dry, and the finished product may swell or crack. Too moist, and the end product may shrink or warp. It’s no wonder experts say incorrect moisture causes 80% of all woodworking problems. Therefore, it’s critical to know the moisture content of each piece of wood before it is used. For instance, if you’re planning an inlay job using two different species of wood, you’ll need to know the moisture content of each type so that your inlay glue joints stay intact. A failsafe way to avoid a ruined project is to use a moisture meter. Wagner Meters is one provider for both professionals and hobbyists a variety of highly accurate, professional-grade moisture meters. To help solve your moisture problems easily and quickly, Wagner offers you the FREE Wood H2O mobile app. 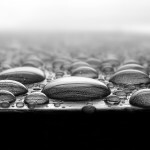 This handy app calculates equilibrium moisture content (EMC), troubleshoots many common wood moisture problems, and accesses helpful resources. Download your FREE mobile app here. To eliminate stains caused by oozing glue along joints, clamp the pieces together without glue. Apply masking tape over the joint and then cut it with a utility knife. Next, separate the pieces, apply the glue, and clamp them together again. The glue will ooze onto the tape, not the wood. Remove the tape before the glue dries. Make accurate measuring and marking layouts on boards faster and easier with a drafting square – available at any art supply store. When you need an accurate square in the 2- to 3-foot range, drafting squares beat the cumbersome drywall squares for accuracy and eliminate the hassle of hooking up a carpenter square. Achieving efficiency in your shop can sometimes be as simple as clearing clutter from your work area. A disorderly work area can hinder your productivity. Another tip: Only keep out items that you use daily. Everything else should be put in designated areas so they’re quickly retrievable when needed. Pay special attention to lighting. You should have consistent and ample illumination on all work areas so you can work from any angle without casting shadows. This ensures safety and productivity. Painting walls and the ceiling white can help diffuse the light. Dull tools such as chisels, blades, planes, scrapers and gouges don’t cut cleanly. They tear at the wood fibers resulting in a fuzzy, uneven, unprofessional look. Tools that have been chipped or nicked require grinding. A bench grinder, wet grinder, or even a belt sander can be used. Avoid letting your tool get too hot when using a bench grinder or belt sander to prevent it from losing temper. Dipping it in a pan of cool water every few seconds will help. After grinding, proceed to honing using either a flat wet stone or oil stone. A wet stone is preferred when doing fine woodworking. The final step is polishing using a fine wet stone, a stropping wheel or leather. Tools with sharper blades make woodworking easier, more efficient, and safer. Achieving efficiency in your shop won’t just improve your productivity and help you work faster and easier, it’ll also make you feel accomplished and more satisfied. Special Thanks to Wagner Meters for Providing This Blog. The hickories are an important group within the eastern hardwood forests. Botanically, they are split into two groups; the true hickories, and the pecan hickories (fruit bearing). The wood is virtually the same for both and is usually sold together. The sapwood of hickory and pecan is white, tinged with brown while the heartwood is pale to reddish brown. Both are coarse textured and the grain is usually straight but can be wavy or irregular. 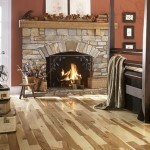 Hickory is being used more and more for hardwood flooring, furniture, and cabinetry. Lending itself to an attractive rustic look and its hard-wearing properties, hickory is an excellent choice when durability is a key factor. Hardness and durability are key reasons that Hickory has long been popular for tool handles, wooden ladders, dowels, and sporting goods. Hickory is also often sought after for home projects. The durability and sturdiness of hickory cabinets and hardwood flooring makes hickory a good choice for home and commercial projects. The strength and moisture-resistance of hickory also lend it to use in areas like kitchens, laundry rooms, high-traffic areas, and even children’s bedrooms. The heaviest of American hardwoods, hickory can be difficult to machine and glue, and are very hard to work with hand tools, so care is needed. The wood hold nails and screws well, but with a tendency to split so pre-boring is advised. The wood can be sanded to a good finish. 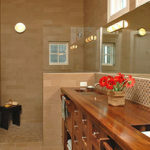 The wood is well-known for its very good strength and shock resistance and also has excellent steam-bending properties. It is extremely tough and resilient, quite hard, but only moderately heavy. Read more on the specific wood qualities of hickory. Perhaps the most desirable aspect of hickory wood is the unique combination of strength, hardness, and toughness that cannot be found in any other species. It is considered an extremely durable wood, thought to be able to withstand nearly anything. On the Janka scale, hickory comes in at an impressive 1820. That’s about 41% harder than the traditional Red Oak. It is the second hardest hardwood species in North America. In Eastern North America, it survived the catastrophic changes of the Glacial Epoch 50 million years ago, earning the title of first strictly American hardwood species. Pioneers heading westward made hickory wagon wheels a prerequisite. Hickory sawdust and chips are used to flavor meat by smoking. The hardwood lumber that you buy at the lumberyard began as a living tree. As a living tree, the trunk of the tree provided a way to transport water from the roots to the leaves. When the tree is cut down that water moving system is still present in that tree and much of that water is still in the lumber when it is first sawn. Hardwood lumber just cut, referred to as green lumber, can have a moisture content of 40% or more! After hardwood lumber is sawn, it is typically air-dried to around 15% moisture content. Hardwood lumber will be continued to be dried in a kiln to a moisture content of 6-9%. Wood is hygroscopic, which means just like a sponge the moisture content will change depending on the relative humidity of the surrounding air. When humidity increases, the wood absorbs moisture from the air causing the wood to expand. When the humidity decreases, the wood releases water into the air and the wood shrinks. What Direction Does Wood Expand In? When wood expands and contracts because of changes in moisture content, hardwood will move in a predictable way. Wood shrinks most in the direction of the annual growth rings (tangentially), and half as much across the rings (radially), and only slightly along the grain (longitudinally). or from the center of the tree to the outer edge). Hardwood shrinks most in the direction of the annual growth rings (tangentially), about half as much across the growth rings (radially), and only slightly along the grain (longitudinally). Flat-sawn boards will cup away from the heart of the tree. The shrinking will occur mostly in its width. Rift-sawn boards will warp and shrink into a diamond or trapezoidal shape. Quarter-sawn boards will shrink slightly in both length and width. What Do I Do About Moisture and Wood Movement? The solution to this problem is quite simple: don’t stop the wood from moving, but rather account for its movement. With a little bit of knowledge, you can predict the degree of wood movement, and take action to accommodate the movement. Quarter sawn hardwoods are beautiful and distinctive. The unique look of quarter sawn hardwoods lend itself to an array of design styles, from traditional to modern. 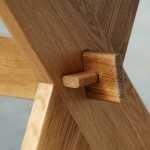 But, when designing with solid quarter sawn hardwoods, it is important to understand how the uniqueness of this wood comes with a limitation in product width. Why Is Quarter Sawn Lumber Narrow? In order to obtain the distinctive straight-grained appearance of quarter sawn lumber, logs must be sawn in a different way. The log is first cut in half and then into halves again. After being cut into quarters, each quarter section is placed on the mill in a position so that the annual rings are as close to 90 degrees (perpendicular) to the face of each board as possible when sawn. 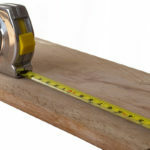 By sawing the log in this way, quarter sawn lumber yields more waste and therefore the end result is narrower boards, in comparison to plain sawn lumber sawing methods. Why is Quarter Sawn Hardwood More Expensive? Quarter sawn hardwood can command a premium over plain sawn lumber. This is primarily due to a more limited availability of quarter sawn lumber – both because of the lower number of boards made from each log and combined with a much smaller number of suppliers producing this kind of lumber. This limited availability of quarter sawn lumber results in a premium price for this type of lumber. Is Quarter Sawn Hardwood Worth It? The principal benefit of the quarter-sawing technique is that all of the grain will be straight, resulting in a more dimensionally stable product. Quarter sawn lumber typically does not warp, twist, or cup. A narrow grain pattern is typically evident on the face of the board. Flecks are generally evident in quarter sawn red oak and white oak, but can also be seen in other species. Read more about quarter sawn wood. Is Quarter Sawn Wood Still A Green Choice? Many have asked whether the higher waste involved in making quarter sawn wood result in a product that is less environmentally friendly than traditional lumber. The answer is simple – quarter sawn wood is a sound environmental choice. (Read more on why solid wood is a great design choice for our environment.) Companies who produce quarter sawn lumber use the rest of the log in a variety of ways. Bark can be turned into mulch and wood chips supply paper companies, while sawdust is often used on-site to fuel drying kilns. No part of the log is left unused. Since the Essen Motor Show in December 2015, the wooden supercar known as “The Splinter” has been making news and creating quite the buzz. This special supercar debut was unlike any other… this supercar is made of wood. “The Splinter” is a high-performance sports car that took a team led by Joe Harmon five years to create. 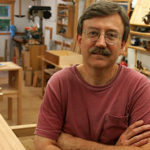 Harmon started the project as a graduate project while completing his master’s degree in engineering at North Carolina State University. Why Make a Supercar Out of Wood? Harman has said that the Splinter was a result of his lifelong love of automobiles and his desire to use wood in ways that would push its perceived limitations. “It has been a dream of mine to design and build my own car since I was a kid. Wood provided an additional challenge that we thought might move the project into an interesting direction,” he explained in an interview. What Parts of the Splinter Aren’t Wood? The exotic machine is powered by a Chevrolet LS7 engine and other than that and the drive train, gauges, fasteners, tires and rims, the car is made almost entirely of wood composites. A six-speed manual transmission, and six-piston caliper brakes up front and two-piston calipers in the rear complete most of the critical non-wood parts of the vehicle. 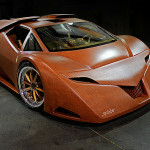 How Much Wood is in the Splinter Supercar? The Splinter is estimated to be 90% wood. From the mostly wood-based chassis to the steering system, wood composites are the highlight of this vehicle. The steering system uses multi-piece wooden tie rods made of hickory. A series of bent and molded laminates make up the entire body. The compound curvature of the exterior was achieved by weaving strips of veneer made from cherry skins and end grain balsa into a cloth using two looms designed by the build team specifically for the project. A wide variety of glues were used to keep all of the wood pieces together, including epoxy, urethane, urea formaldehyde, and polyvinyl acetate. How Did They Make the Wooden Wheels? Each Splinter wheel has 275 different wooden pieces. Michelin Pilot Sport 2 tires sit on three-piece forged aluminum rims with laminated wood centers made from rotary-cut oak veneer, covered by a walnut sunburst on the outside face and a cherry sunburst on the inside. How Was The Splinter Made? To achieve Harmon’s goal of a fully fluid body surface, the team had to invent a wood veneer cloth to use in place of more usual glass-fiber or carbon-fiber weaves. That meant designing and developing specific looms, acquiring rolls of veneer five inches wide, slitting it into bands sixty feet long and an eighth- or a quarter-inch wide, weaving it into cloth to place in female molds, and then vacuum bagging it with epoxy resin. Those looms-wood, of course-are works of art, using wooden clothespins machined to feed veneer strips through their jaws. With too much tension, they slipped; if there wasn’t enough tension, rubber bands attached to the clothespins compensated. It was wonderfully elegant, wonderfully simple. Why is The Splinter So Fast? Harmon said the entire car weighs an estimated 1,360 kg and because it’s made of wood he claims it boasts a better strength-to-weight ratio than steel and aluminum. While it wasn’t built specifically as a performance machine, he pointed out that the combination of the Splinter’s weight, shape, gearing and power could mean it’s capable of reaching speeds of up to 386 km/h. However, the car is unlikely to be put to the test in this regard. What Inspired the Splinter Supercar? This project was inspired by a WWII airplane called the “de Havilland Mosquito.” Made almost entirely out of wood, the plane was equipped with two Rolls-Royce V12 engines and was supposedly the fastest piston-driven plane of its era. Watch this feature by Inventing the World. Visit the official website of Joe Harmon Design. Following the early construction process. 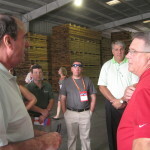 Atlanta Hardwood Corporation hosted a yard tour of their facility during the annual meeting of the Hardwood Distributor’s Association in October. With 700,000 board-feet of kiln capacity, Atlanta Hardwood processes premium quality Appalachian hardwoods, such as alder, ash, beech, cherry, maple, walnut and oak. Many members also commented on the overall size of the facility and the amount of storage that they have. A great day was had by all that attended.